﻿ Best Price on Hostel 1110 in San Jose + Reviews! 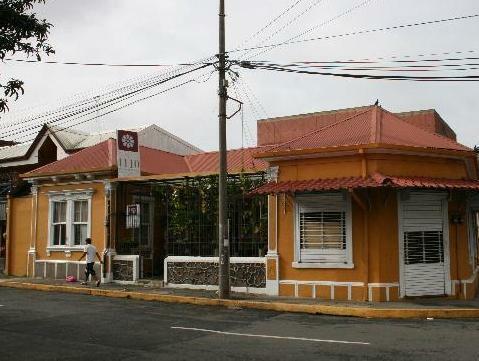 Located 1.4 km from San Jose Historic Centre and 15 minutes’ from the Handicraft Market, Hostel 1110 features Colonial-style architecture, a furnished terrace, games room and free Wi-Fi throughout. The rooms offer basic décor with wooden floor and either shared or private bathroom. There is a fully-equipped, common kitchen for guests to use and a TV lounge. Hostel 1110 also offers meals under request and can be enjoyed at the terrace or at the central garden. Continental breakfast is for free. This property is 15 minutes’ walk from the San Jose Cathedral and 900 metres from the National Theatre. Juan Santamaria International Airport is a 30-minute drive away. Activities such as cultural tours can be arranged on site.